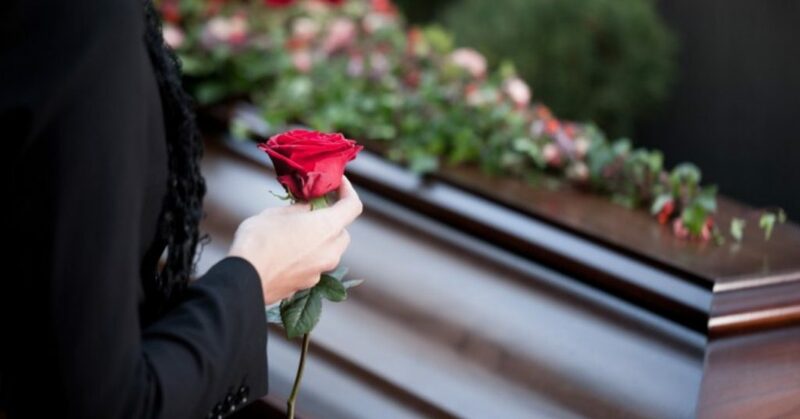 When you cannot afford a funeral for a friend or relative who passed away and their assets will not cover their funeral costs, you may be eligible for government assistance. The Australian Government Department of Human Services can provide the following support to people with payments, counselling and other services after someone close to them has died. The death of a close family member can have a big impact upon your income. To help you adjust and depending on your individual financial circumstances, you may qualify for a Bereavement Payment if you were receiving an eligible social security payment at the time of your loved one’s death. Many of the Child Support and Centrelink programs benefits and assistance schemes will continue to provide support for up to 14 weeks after a person’s death, helping families and carers get back on their feet. Am I eligible for a government bereavement payment? If you already qualify for a government pension or benefit linked to a loved one, then you will need to notify Centrelink about the death and may be asked to provide proof, usually in the form of a death certificate. In many cases, its advisers will be able to tell you what benefits you are eligible to receive and help you through any changes or claims that need to be made. This could mean you, if you along with your late partner, were receiving a pension from Centrelink or the Department of Veterans’ Affairs. If you are the surviving partner or spouse of a couple who were both receiving a benefit for at least 12 months (such as Newstart Allowance or Parenting Payment). Or, if you are the partner or spouse of someone who paid into The Government or Department of Veterans’ Affairs Pension Bonus Schemes. You may qualify for a bereavement support payment if your loved one deferred claiming their Age Pension, but died before making a claim for the bonus. The amount payable will depend on the amount your spouse or partner would have been eligible for. If you receive a Wife Pension, or Partner Allowance, these payments may continue to you for up to 14 weeks after the death of your husband or partner. If you claimed support as a couple, you may be eligible for a lump sum Bereavement Payment when your partner dies. It is usually reckoned according to the combined amount you and your partner would have received as a couple, less the new single rate you now receive. If you were receiving Centrelink support such as Carer Payment or Carer Allowance for looking after an adult loved one, then you may continue to receive this payment for up to 14 weeks after the death of the person you cared for. You may also qualify for a lump sum payment (the equivalent of up to seven instalments of the regular allowance). If your loved one was claiming a single allowance such as Newstart or Widow Allowance, any payments covering up until their death may still be paid to their estate. The estate is summed up in law, as everything owned by someone at the time of their death. If your loved one was a single pensioner, rather than part of a couple’s combined pension payment, a final payment covering the fortnightly payment period in which he or she died, will usually be paid into their bank account. This can then be accessed by the executor of their estate. If you are a parent or carers and receiving certain assistance allowances, you may be eligible for Bereavement Payment if your dependent child has died. These also apply after the death of a child under the age of 20, if they were still in secondary education. The benefits and allowances that may still continue for a period of time include Family Tax Benefit, Carer Payment, Carer Allowance and the Double Orphan Pension. Any fortnightly Family Tax Benefit payments you received for your child, may continue for up to 14 weeks after their death, in the form of The Family Tax Bereavement Payment. Or this may be may paid to you in a lump sum. If you received Newstart Allowance or Youth Allowance as a principal carer and your only qualifying child has died, the higher rate of payment and concessions will continue to be paid to you for up to 14 weeks after their death. If you are currently looking for work, Your Mutual Obligation Requirements will be reduced for up to 14 weeks after your child’s death. If you receive Parenting Payment and your only qualifying child dies, you may continue to receive this support for up to 14 weeks after the child’s death. There are a number of allowances that the parents or registered carers may be eligible to receive, following the loss of a baby. This includes The Newborn Upfront Payment (a $532 tax-free lump sum), Newborn Supplement and a Family Tax Bereavement Payment, which are reckoned subject to your household income. Other allowances your family may still be eligible to receive, are Parental Leave Pay and Dad and Partner Pay. If you are the parent of a baby who was stillborn, then you could be eligible to receive Parental Leave Pay and Dad and Partner Pay. Or, if you will not be receiving Parental Leave Pay, you could qualify for Stillborn Baby Payment. Your income (or eligibility for Family Tax Benefit Part A), will be taken into account, when you make a claim. These claims must be submitted within 52 weeks of the day that your baby was delivered. In the case of dire financial straits, it may be possible for you to access your superannuation early. The Australian Department of Human Services provides details to help you find out if you may qualify for the early release of superannuation funds on compassionate grounds. If your loved one was a member of a self managed super funds (SMSF), these generally pay a death benefit to a dependant or other beneficiary of the deceased. This can be paid as a lump sum or, if you are dependent of the person who died as well as their beneficiary, you can choose to receive it as an income stream. Australia’s Department of Defence and Department of Veterans’ Affairs both administer benefits to cover or help towards the funeral costs of active service members and some veterans. There are a range of other organisations that provide support services and useful information you may find helpful. You can use Payment and Service Finder to find help in your local area. Most state governments in Australia have additional schemes set up to help in-need families with funeral costs. Generally, these programs require the family to show that they are unable to pay for the funeral costs, and have a fairly strict assets test that must be satisfied. MoneySmart has information to help you make the most of your money. Read the Losing your partner section on the MoneySmart website. Financial Counselling Australia is the peak body for financial counsellors in Australia. They can put you in touch with a financial counsellor if you are in financial difficulty. Headspace is the national youth mental health foundation. They can help young people who are going through a tough time. If you are experiencing depression, anxiety or stress, you may find it helpful to talk to somebody about your mental health. Solace Australia provides support for people who have lost their partner.